Vince McCluskey of the Stars and the Flash's Damian Garcia go for the ball. Vince McCluskey leads a double life. From December to April he plays professional indoor soccer for the Tacoma Stars and from late February through May he turns around to coach the outdoor variety of the game at his alma mater of Kennedy Catholic High School in Burien. “The end of this season is when that (high school) picks up,” said McCluskey following a recent Stars game on their home field at the ShoWare Center in Kent. McCluskey is in his second season with the Stars. The Stars’ roster is heavy with Puget Sound-area talent. It includes SeaTac’s Mike Arguello as a backup goalie, and Federal Way’s Troy Peterson and Chase Hanson. Listing Tacoma as their home towns are Alex Megson, Derek Johnson, Jamael Cox, Joey Gjertsen, Raphael Cox and Steve Mohn. Adam West and Danny Waltman are from Gig Harbor and Sam Zisette from Seattle. Another bunch of players McCluskey called “a good group of guys” is this year’s Kennedy Lancers, who he is going to be in his third year of coaching. McCluskey has four years of college experience playing the outdoor game from his days at the University of Puget Sound in Tacoma after his four years at Kennedy. McCluskey plays the forward position for the Stars. You can bounce passes off the walls in the indoor game, which features six players instead of 11 at a time. Players go in and out quickly during a match, which features four 15-minute quarters. “If you’re in more than two or three minutes, you’re dying,” McCluskey said. 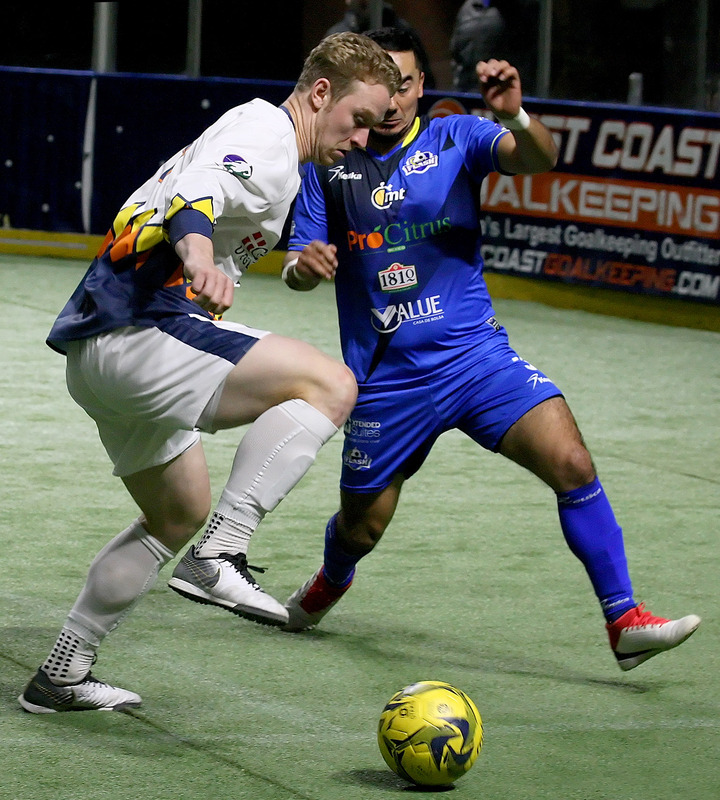 The Stars are named after the Tacoma Stars of the old Major Indoor Soccer League, which folded despite the team in the Tacoma Dome’s popularity and success from 1983-92. The new Stars were born in 2003 as a member of the Premier Arena Soccer League. They are now in the Major Arena Soccer League founded in 2008 that also includes the Monterrey Flash, Soles de Sonora, Milwaukee Wave, El Paso Coyotes, Rio Grande Valley Barracudas, Dallas Sidekicks, Kansas City Comets -- and the Ontario Fury, San Diego Sockers and Turlock Express teams of California that are in the same Pacific Division with Tacoma. More teams are further East, including the defending champion Baltimore Blast. McCluskey found his way onto the Stars team through a former youth soccer coach in Highline, Thomas Jefferson graduate Darren Sawatzky, who would go on to become the head coach of the Stars. “I played for Darren there, so I got a tryout and made the team,” said McCluskey. Sawatzky just departed the Stars job in December for the same position with a pro team in Tucson. He leaves McCluskey playing happily for the Stars and signing autographs at tables set up after matches at ShoWare. “It’s good to play in front of family and friends,” McCluskey said.